The US Media’s Grave Failure To Communicate The Significance of Understanding Climate Change as A Civilization Challenging Ethical Issue. This is the third paper that examines in more detail the issues briefly examined in the video. In the last two entries we examined the failure of the US media to communicate about: (1) the strong scientific position on climate change, and (2) the magnitude of greenhouse gas emissions reduction necessary to avoid catastrophic climate impacts. In this post we look at the failure of the US press to communicate about the significance for policy of seeing climate change as an ethical issue. II. 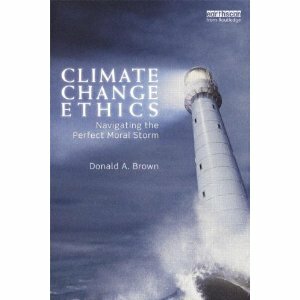 Significance of Understanding Climate Change as A Civilization Challenging Ethical Issue. There has been almost no coverage in the American press about the ethical duties of governments, organizations, businesses, and individuals to reduce the threat of climate change other than occasional general assertions by some activists or members of a religious groups referring to climate change as a moral issue. When substantive issues about climate change policies have been debated in the United States, there has not been a whimper in the US press about the ethical dimensions of climate change in general or the ethical implications for specific issues under consideration. The evidence for this widespread failure to understand the practical significance of seeing climate change as a moral issue includes the almost universal failure of the press or advocates of climate change policies to ask businesses, organizations, or individuals who oppose national climate change policies on the grounds of economic cost alone, whether they deny that, in addition to economic interests, nations must comply with their obligations, duties, and responsibilities to prevent harm to millions of poor, vulnerable people around the world. In the United States and other high-emitting nations there is hardly a peep in the US media about the practical consequences of seeing climate change as a world-challenging ethical problem. If climate change is understood as essentially an ethical problem, several practical consequences for policy formation follow. Yet it is clear that there has been widespread failure of those engaged in climate change policy controversies to understand the enormous practical significance for policy formation of the acknowledgement that climate change is a moral issue. Without doubt, there are several reasons why climate change must be understood essentially as a civilization challenging ethical problem. yet very few people appear to understand what practical difference for policy formation follows if climate change is understood as an ethical problem. First, climate change creates duties, responsibilities, and obligations because those most responsible for causing this problem are the richer developed countries or rich people in developed and developing countries, yet those who are most vulnerable to the problem’s harshest impacts are some of the world’s poorest people. That is, climate change is an ethical problem because its biggest victims are people who have done little to cause the immense threat to them. Second, climate-change impacts are potentially catastrophic for many of the poorest people around the world. Climate change harms include deaths from disease, droughts, floods, heat, and intense storms, damages to homes and villages from rising oceans, adverse impacts on agriculture, diminishing natural resources, the inability to rely upon traditional sources of food, and the destruction of water supplies. In fact, climate change threatens the very existence of some small island nations. Clearly these impacts are potentially catastrophic. Yet there is growing evidence that greenhouse gas levels and resulting warming may be approaching thresholds that could lead to losing control over rising emissions. Third, climate change must be understood to be an ethical problem because of its global scope. If other problems are created at the local, regional, or national scale, citizens can petition their governments to protect them from serious harms. But at the global level, no government exists whose jurisdiction matches the scale of the problem. And so, although national, regional, and local governments have the ability and responsibility to protect citizens within their borders, they have no responsibility to foreigners in the absence of international law. For this reason, ethical appeals are necessary to motivate governments to take steps to prevent their citizens from seriously harming foreigners. Although a few people have acknowledged that climate change must be understood as an ethical problem, the practical significance for policy formation that follows from this recognition appears to be not widely understood. The following are ten practical consequences, among many others, for policy formation that flow from the acknowledgement that climate change is an ethical problem. Although there are some climate change ethical issues about which reasonable ethical principles would reach different conclusions about what ethics requires, the following are conclusions about which there is a strong overlapping consensus among ethical theories. The ethical basis for these claims have been more rigorously worked out in prior articles on Ethicsandclimatge.org and are not repeated here. 2. All nations, sub-national governments, businesses, organizations, and individuals must reduce their greenhouse gas emissions to their fair share of safe global emissions. Although different theories of distributive justice would reach different conclusions about what “fairness” requires quantitatively, most of the positions taken by opponents of climate change policies fail to pass minimum ethical scrutiny given the huge differences in emissions levels between high and low emitting nations and individuals and the enormity of global emissions reductions needed to prevent catastrophic climate change. Any test of “fairness” must look to principles of distributive or retributive justice and must be supported by moral reasoning. 6. Those nations, sub-national governments, organizations, businesses, and individuals that are emitting greenhouse gases above their fair share of safe global emissions have obligations, duties, and responsibilities for the costs of adaptation or damages to those who are harmed or will be harmed by climate change. 7. Given the magnitude of potential harms from climate change, those who make skeptical arguments against the mainstream scientific view on climate change have a duty to submit skeptical arguments to peer-review, acknowledge what is not in dispute about climate change science and not only focus on what is unknown, refrain from making specious claims about the mainstream science of climate change such as the entire scientific basis for climate change that has been completely debunked, and assume the burden of proof to show that emissions of greenhouse gases are benign. 8. Those nations or entities that have historically far exceeded their fair share of safe global emissions have some responsibility for their historic emissions. Although the date at which responsibility for historic emissions is triggered is a matter about which different ethical theories may disagree, at the very least nations have responsibility for their historical emissions on the date that they were on notice that excess greenhouse gas emissions were dangerous for others, not on the date that danger was proven. 9. In determining any nation’s fair share of safe global emissions, the nation must either assume that all humans have an equal right to use the atmosphere as a sink for greenhouse gases, or identify another allocation formula based upon morally relevant criteria. All nations have an ethical duty to explain why any deviation from per capita greenhouse gas emissions is ethically justified. 10. Some economic tools frequently used to evaluate public policy on climate change such as cost-benefit analysis that doesn’t acknowledge responsibility for allocating the burdens for reducing the threat of climate change on the basis of distributive justice are ethically problematic. Given that climate change is obviously an ethical problem, and that if climate change is understood as an ethical problem it has profound significance for climate policy, the utter failure of the US media to cover climate change as an ethical problem is an enormous practical error and tragedy.